Lord (Roger) Liddle is Chairman of Policy Network and became a Life Peer in 2010. He was formerly Tony Blair’s Special Advisor on European Policy and subsequently worked for three years in the European Commission, first in the Trade Commissioner’s cabinet and then advising the President of the Commission. He has been at the heart of the European debate for two decades, with detailed knowledge of both the politics and public policy. What is Britain’s future in Europe? This book revisits an old argument but for dramatically new times. The old argument is about Britain’s ‘semi-detachedness’ from Europe and whether that posture could ever change. The new times are the crisis in the Eurozone and its wider impact on the European Union’s future. While logic may point to deeper integration, the politics associated with the EU’s problems make this a significant and possibly insurmountable challenge. Where should Britain stand? What future should Britain want for the EU? And how important is continued membership of the EU for Britain’s future? 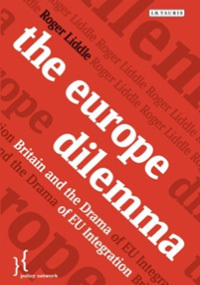 This book offers new answers to these questions from the perspective of an author who has combined experience both at the heart of the British Government, as Tony Blair’s European adviser and with years of understanding Europe from the inside – working at a senior level in the European Commission. This book will be essential reading for anyone interested in the future of British and European politics.